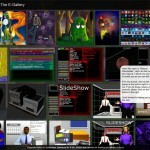 The E-Gallery has been around for many years, and has gone through many versions and revisions to get to where it is today. 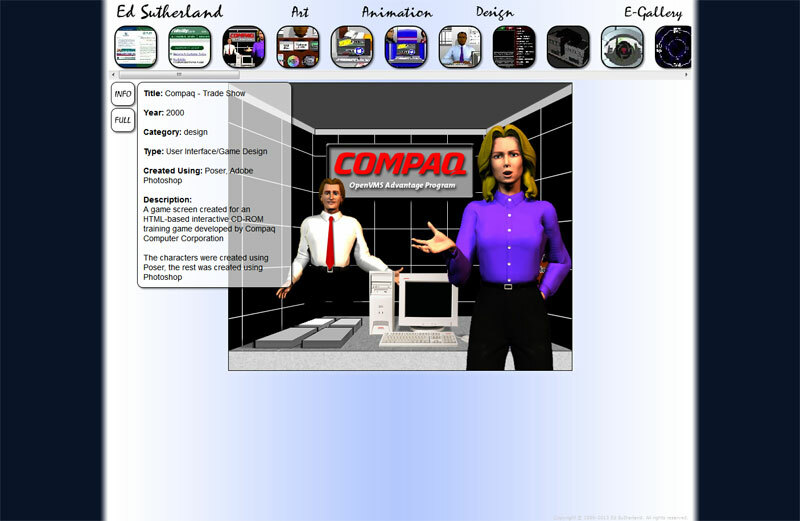 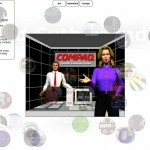 All previous versions of the E-Gallery were designed and hand-coded from the ground up using image editing software such as Adobe Photoshop, basic text editors such as Notepad and Notepad++ and even, in the case of the original version, a 3D software package known as Ray Dream Studio. 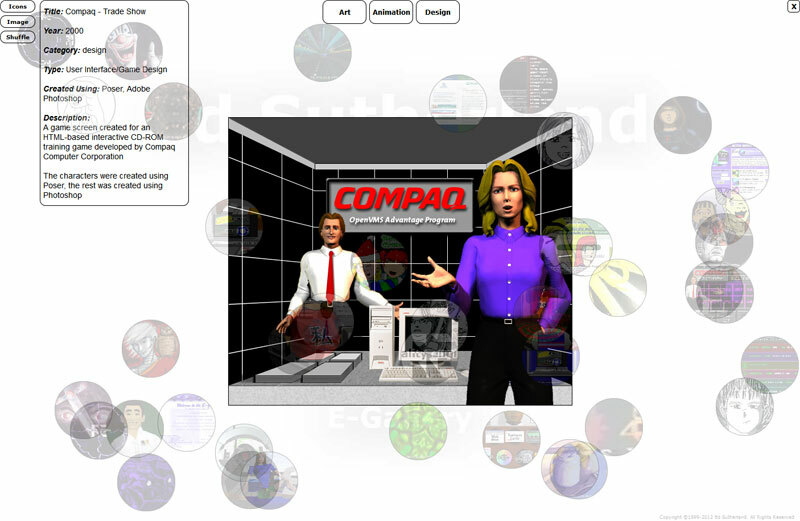 In 2015, a new, responsive version of the site was created from the ground up, including search functionality, a pop-up guide to enhance the user experience, and a much more modern look and feel. 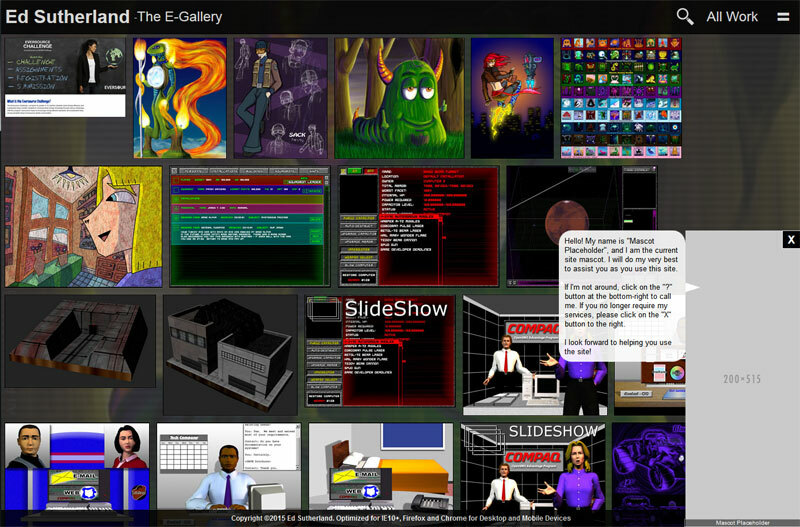 The current version of the E-Gallery also contains graphical elements designed and created in Adobe Photoshop, but is the first version to use a content management system instead of a from-scratch, hand-coded solution. 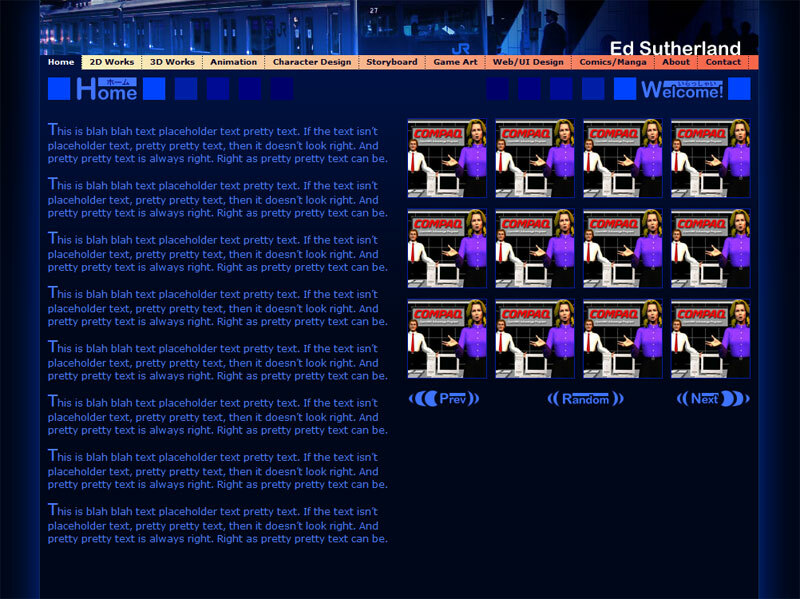 This allows for better ease of updates, design flexibility and inclusion of a much wider variety of content types. 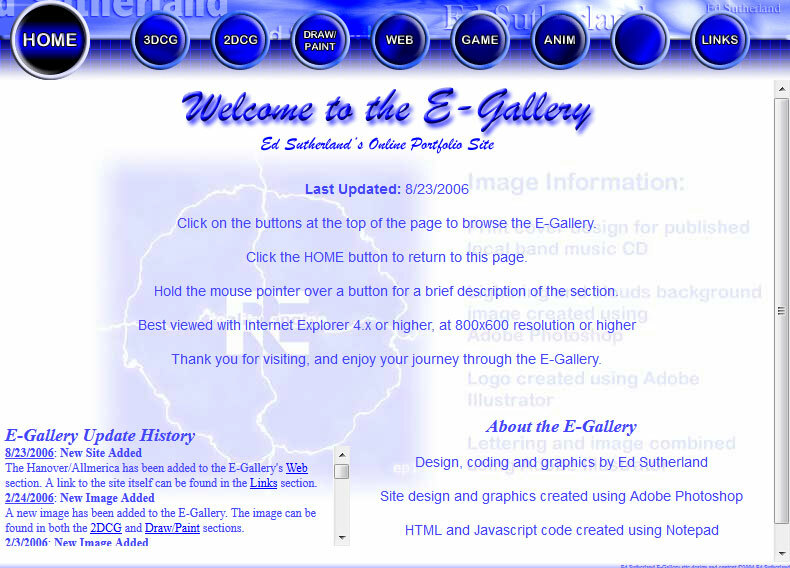 Each version of the E-Gallery has been a unique experience in user interface, user experience and visual design/implementation.